Belmont senior entrepreneurship major Maggie Fincher and media studies professor Dr. Sybril Brown were both honored by the Nashville chapter of the National Association of Women Business Owners (NAWBO) during the “Celebrating Women of Music City Awards” event held Wednesday in Green Hills. Brown, who was unable to attend the event due to her class schedule, was recognized as the 2015 Nashville NAWBO Diversity Leader of the Year, noting that she has consistently cultivated diversity and inclusion in the community. 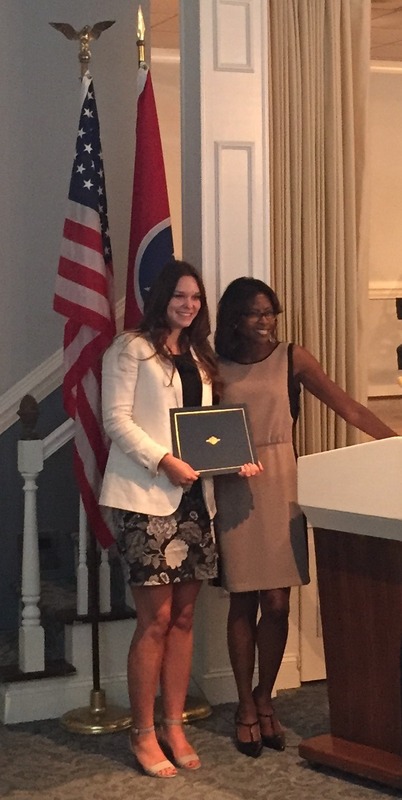 Meanwhile, Fincher, who serves this year as the president of Enactus, was awarded the 2015 Student Scholarship Award by NAWBO. Fincher is also the owner of The Red Table Cloth, a dining experience auction launching this fall.